I was standing at the margin of the river, whose waters are deep and infinitely dark. My eyes were burning and those tears didn't seem to be as sweet as the water flowing freely through the river. I tried to admire the landscape while my body was being destroyed by bitterness and impotence. I could run until I lost my breath or I could stand there indefinitely―my spirit would remain exhausted just the same. It wouldn't change the hatred that was coming from those wretched feelings, becoming an intangible bloody scimitar. The green leaves, the peaceful wind―dark and cold―gave me goosebumps. I was probably dead again. I used to be a handsome man, trapped in all my masculinity... Now, I was only a helpless boy, pale and lifeless. I wanted to see the life I never had flashing before my eyes before I was dead forever. Ah, the sad perplexity of this intervention! Then, for the first time, I could actually see it: the cold and weathered tombstone on the other side of the river. It was still standing, awaiting the body to be buried. The game is over for me and I've known it for quite some time. Even though they told me suicide was painless, I'm still holding on to this silver blade that translates into chilliness, fear, and a sad way out. I wanted to hear once more each mediocre word that comes out of your mouth. The words I'll never be able to understand. A poet once told me, “Your only pleasure is your indisputable power to create white clouds coming in and out of your lungs.” However, now I see that the only formula behind it isn't the sweet pleasure of watching the tiny flame burning close to the lips. Sweet clouds are only blown from my lips because of the cold air and my wheezing that will soon no longer be. I wish I could stay here until the next dawn, but it's too late to feel sorry for anything. I only have a few last afflictions left. In a way, I see this discrete man who lives inside of me, even though he will also die in my company tonight. He will taste the sweet silver blade. 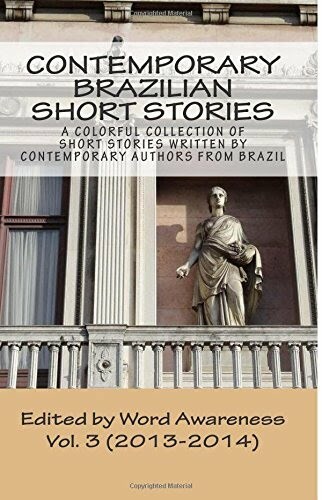 ARTUR OLIVEIRA, also known as Bobby, has been writing poetry and short stories since 2006. He started Med School in 2011 and, although he is focusing on his academic career at the moment, he continues to publish his work on his personal blog In Der Palästra (Planeta Translúcido).